The price for Lenovo Idea Tab A1000 Tablet ( Black ) is valid across Bangalore, Hyderabad, Chennai, Mumbai, Delhi, Pune and Kolkata. 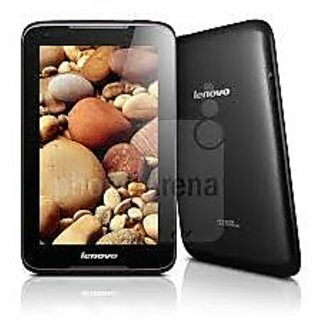 The Lenovo Idea Tab A1000 Tablet ( Black ) is available at best price of INR 5058 on Amazon. Hi All, I had purchased this in Flipkart from WS Retail and delivered on April 1st 2014. Got this for Rs 6688/- . Brought this for my son’s use and for my dad to get used to Android. Didn’t want to invest costly tabs or very cheap products. Personally no trust on Micromax,Lava etc. Hence zeroed down this model. Am writing this review after using it for 7 days. Did some checks with my Samsung Grand which has almost same spec (like 1GB Ram,1.2Ghz DUAL core proc) for few aspects. Below is my review. Note:- I not mentioning any specs about A1000 here since its available everywhere. 1) Looks and Build. Look wise this Tab looks very very old model, bulky and thick. The build quality is good. However leaves finger print where ever you touch. Will rate 3/5 considering the cost what i had paid. 2) 2G quality No so great. Had a call directly on tab (without headphones) the call was feeble even at high volume. Tried loud speaker option, due to Dolby the speaker sound was really good. The tried with handsfree Samsung headphone I could hear clearly however the other person was not able to hear me clearly. Internet browsing was slightly better than BAD. Will rate 2.5/5 considering the cost what I had paid. 3) Display. Not bad as i thought. Has HD display.Played few HD movies the display was good. However in side angles the screen looks washed out. Colour reproduction was okay. Will rate 3.8/5 considering the cost that I had paid. 4) Processor. Compared here with Grand. Installed "Clean master" and put both the devices in Airplane mode checked for CPU utilization Lenovo showed 48% against 59% in Grand (note lower is better). By the time I did the test I was having more apps in Tab than in my phone. Had some HD games for my kid and they played without Lag. However noticed one point where You tube videos take more time to buffer and some dont even play (in high bandwidth Broadband also). Will rate 4.2/5 considering the cost that I had paid. 5) Speakers. One of the best I had seen. Will rate 6/5 considering the cost that I had paid. Yes I mentioned 6 deliberately. 6) User Friendliness The icons are big enough and lag free while operating. However the settings icon and menu icon are very small and placed in odd places. Even the tab is 7inch we will face challenges in clicking them. On/Off and volume buttons are not so easily accessible. Will rate 3.5/5 considering the cost that I had paid. 7) OTG support. Got a OTG cable for 100rs in local market and device identifies it within seconds and able to play videos without lag. Even some of Samsung devices dont have it. 8) Battery Back up :- Had a very good battery back up. Runs close to 9hrs with heavy gaming and videos. Also charges in 3 hrs. Will rate 4/5 considering the cost that I had paid. 9) Memory:- Internal memory is less. The bad news is post update from lenovo the install space is only 1.5 GB. Try using apps like "Clean Master" which will help to move apps to SD card. Will rate 2.5/5 considering the cost that I had paid. 10) Flipkart Services and WS Retail. I was expecting good services from Flipkart and moderate services from WS but suprisingly Flipkart didnt impress me. I ordered this tab on 28th march and 29th march at 11.36am it was dispatched and reached a hub near my location on Sunday 30th March at 5am. It could had been easily delivered on that day however I got the same delivered to my location (not even 4 kms away from nearest hub) on 1st April. Note March has 31 days net to net 2 days delay. When I opened the box the packing was neatly packed and box was brand new. Even the cover and seal was untouched. Will rate 2/5 for Flipkart service and Will rate 5/5 for WS Retail. Tips for usage. 1) Always keep the Tab switched off when not in use. Afterall this is not a phone to kept on all time. 2) If you are buying this model once you are on Wifi or 2G you will get a update from Lenovo (to increase the usable space to 1.5GB) pls install that first before you install anything. 3) Put a screen guard immediately from a local vendor. This will be about 250-350rs. 4) Dont buy a flipcover online Im having issues in that. Get it from a local market after inspection. Final verdit. If you are planning to get a tab for rugged use , kids to play or elders to get used to Andriod with minimal or no call/2G and having Wifi this is a very good tab. Will rate 4/5 considering the cost that I had paid. Im not giving +1 point because 1)Memory allocation issue(1.5GB) 2)could have better screen resolution. 3)Most importantly as an Indian and expect full paisa vasool and even am satisfied will declare one point less. Thanks for your time and kindly share your suggestions, comments and feedback. Regards, Shiv Kumar. 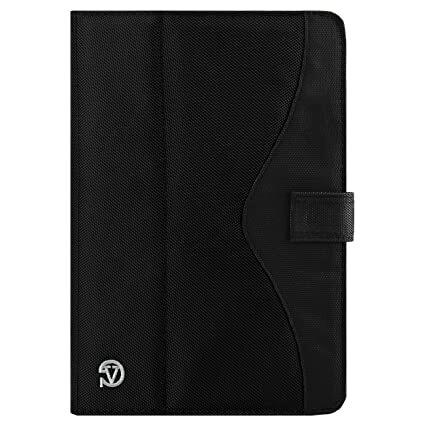 Execellent Tab@best price , very much satisfied.